VESDA is a laser based smoke detector, which means it is a very good smoke detector! 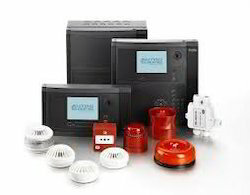 VESDA smoke detectors have been operating in specialist fire detection applications for over 20 years. VESDA is the most advanced aspirating smoke detection equipment in the fire industry. VESDA smoke detectors hold more certifications than any other aspirating smoke detectors in the world. 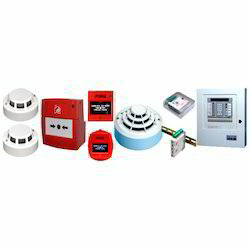 Our company has gained a wide recognition as a prestigious organization to offer our clients the premium quality range of Fire Detector. Fire takes hardly three minutes to spread. We have solutions for big godowns, server rooms, laboratories over and above general Fire Alarm Systems.